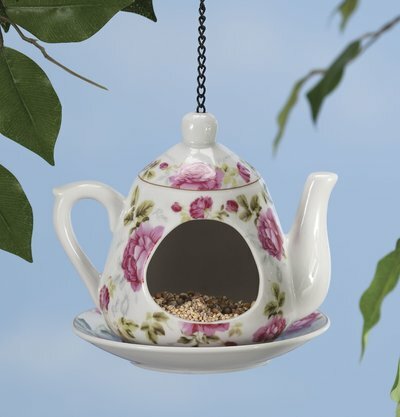 Unique Bird Feeders - Something to Suit Your Yard and Personalize it! If you love to be entertained by your backyard birds, then you can invite them into your home! 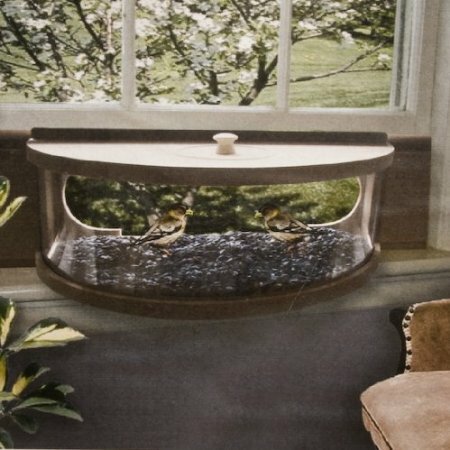 This panoramic window bird feeder is very unique in that it fits into a window opening. It has a one way mirror panel so that you can see them feeding but they can't see you, making them more comfortable. It is well constructed and is great for anyone that would love to watch the birds feeding while sitting comfortably in their home. No more straining to see out the window, they are right there. With beautiful mahogany wood panels at the sides of the feeder it fits most windows that are 20 to 40 inches wide. You could fill it with your homemade bird food to attract more birds. What a beautiful way to be involved with nature. 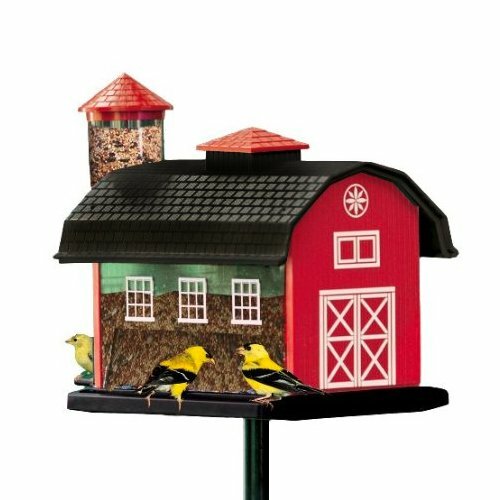 If you have a country theme going on in your yard, this red barn will not only feed many birds but will add to the decor. They will find this quite quickly and you have some bling for your yard! This is a really unique bird feeder, you simply fill and hang off a tree, or garden post. If you have a hunter or gun lover on your list, or you just want something unique and totally different, this is an alternative! Adding shapes and different whimsical things to your yard just create some whimsy and make your space yours. 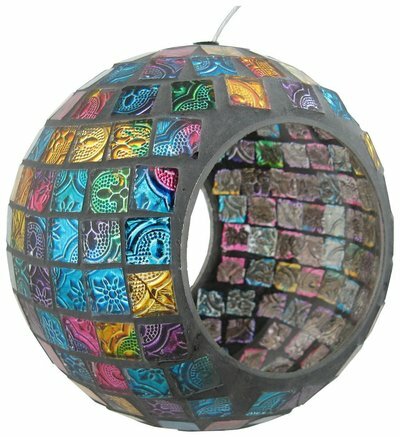 Finding something unique for yourself or for a gift, check out online as you can get some many varieties that you just can't get in a physical store. I have found that shopping online gave me lots of ideas and what would work best in my yard. The variety is awesome too! You can click on any of the pictures to find out more. 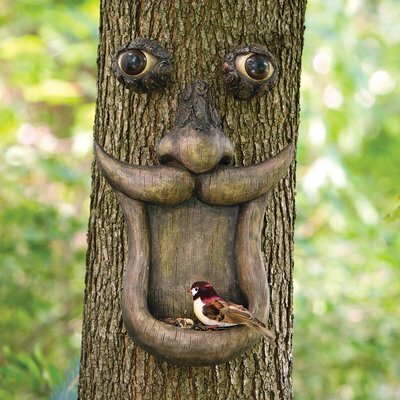 I am loving the above tree face bird feeder, it is totally something different! Obviously this bird is not bothered by the kitty hanging off the feeder! Having something unique and just a little different adds to your yard and personalizes you retreat space! This larger feeder will accommodate larger birds and sticks right to your window, perfect for kids to be able to see them up close and feeding. 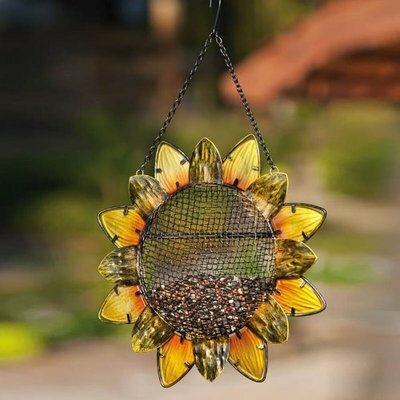 There are so many cool and unique bird feeders on the market now to choose from. You can go plain and simple or make your own, but if you want something a little different, then click on any of the above pictures and check them out or others. Shopping online is a great way to see variety. 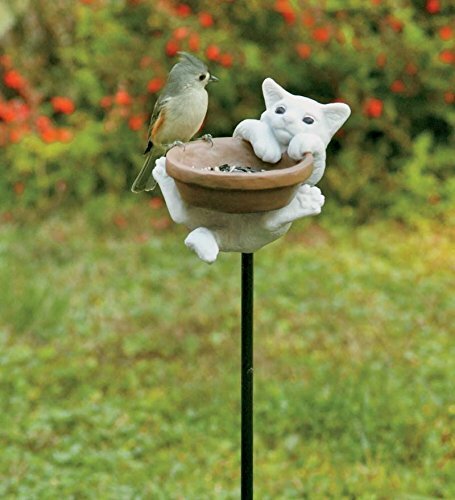 Feeding backyard birds doesn't mean the feeding stations have to be boring, they can add whimsy and bling to your yard. Like pieces of functional art!